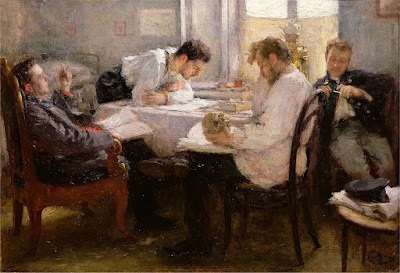 Samuel Gruber's Jewish Art & Monuments: Happy Birthday Leonid Osipovich Pasternak (b. April 4 1862)! Pasternak was elected a member of the Imperial Academy of Arts (1905), and also taught at the Moscow School of Painting, Sculpture and Architecture. 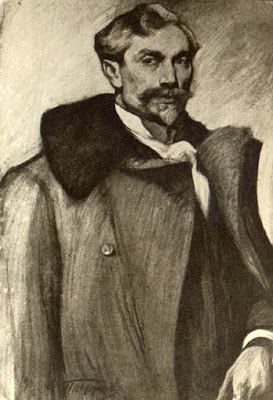 In 1921 he needed eye surgery, which was scheduled to be performed in Berlin. 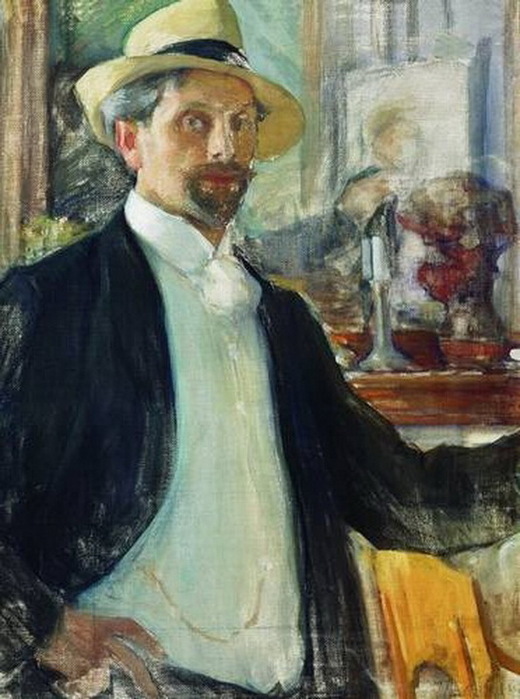 He traveled there with his wife and two daughters, Lydia and Josephine, leaving his sons Boris and Alexander in Russia. After the surgery he decided not to return to Russia, remaining in Berlin until 1938 when he took refuge from the Nazis in Great Britain. He died at Oxford on 31 May 1945. 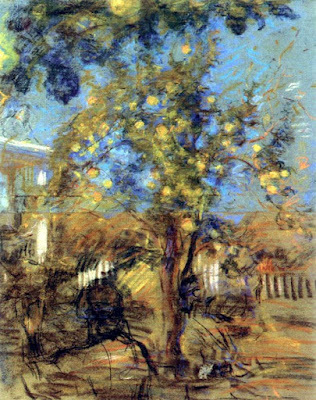 Pasternak's art spans two world's. 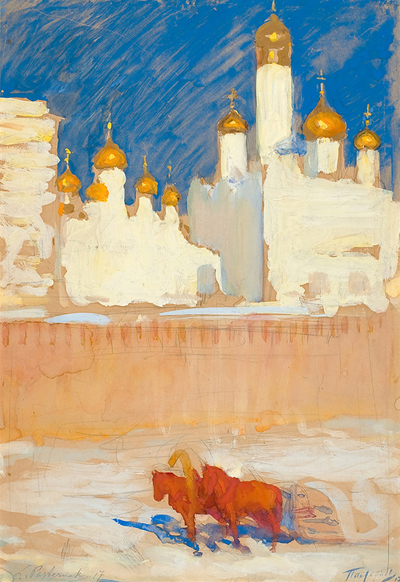 He comes out of the popular social and folk movement of pre-Revolution Russia, but he adopts a style that is more western and after 1917 his work would surely be seen as closer to the German Jewish Berlin-based Max Lieberman than to the new generation of Soviet Jewish artists ranging in style for Marc Chagall to El Lissitsky. 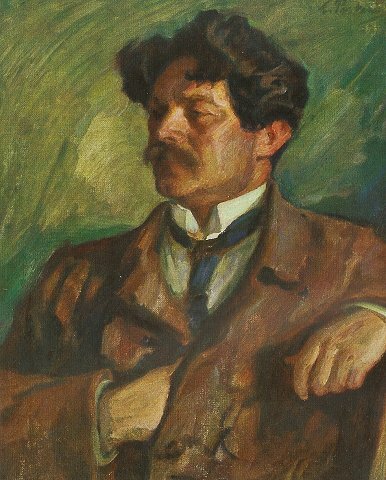 For political and artisitc reasons one can see why he would have wanted to leave the Society Union for Germany in the 1920s. 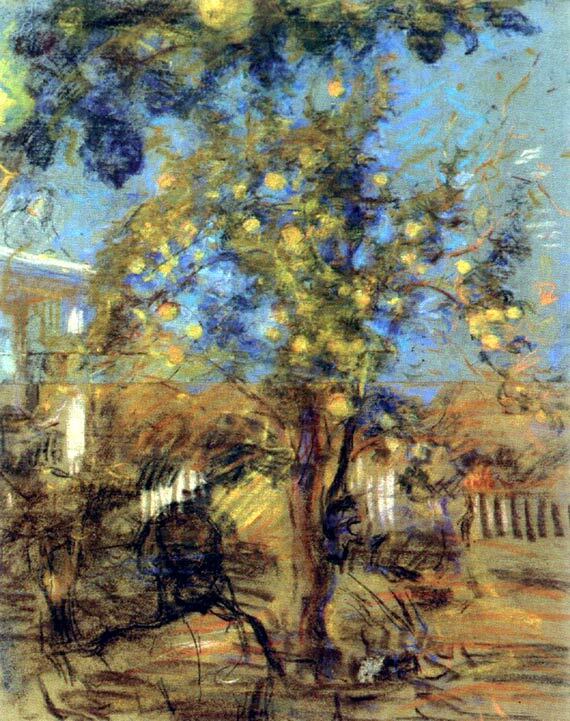 I have not read a biography or detailed study of Pasternak's life and art, but given the times he lived through and the people with whom he associated (just his list of portraits of famous writers and artists is impressive), I'm sure such a study would be fascinating and revealing. Leonid Pasternak, Night Before the Exam, 1895; Musée d'Orsay, Paris. 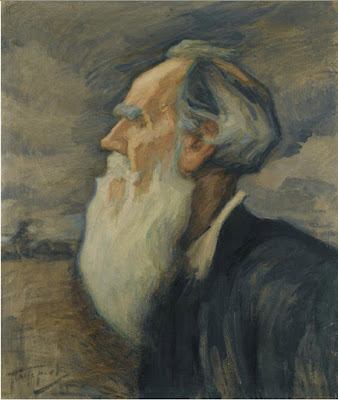 Leonid Pasternak, Profile portrait of Leo Tolstoy, 1908. 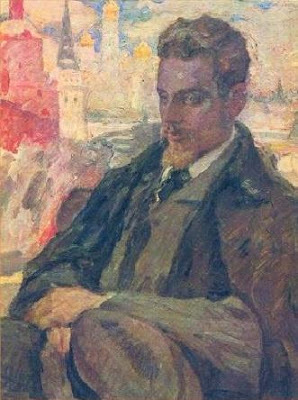 Leonid Pasternak, Posthumous portrait of Rilke painted two years after his death, 1928. Leonid Pasternak, Portrait of (Hebrew Poet) Shaul Tchernichovsky.